Radiant Floors and Walls | Giacomini S.p.A.
With the underfloor radiant system, every square metre can be used to achieve an ideal room temperature. It has now been demonstrated that radiant panels provide the body with decidedly superior living comfort compared to the traditional heating systems. The pleasant sensation of well-being, the constant and uniform temperature in the various rooms and the lack of convective changes make the atmosphere ideal and hygienic with a limited energy impact thanks to the lower temperature of the water being delivered. Today, the modern technology of thermoregulation makes it possible to also use radiant panels for summer cooling of the rooms, with great health advantages: no stratification, total absence of drafts, of displacement of dust and sound and a healthy difference in temperature between the interior and exterior of the building. When the surface of the floor is not sufficient to give a certain load of heat to the room, then the wall system could be an excellent addition. We offer a vast range of technical solutions to create water radiant system for new construction and restorations. 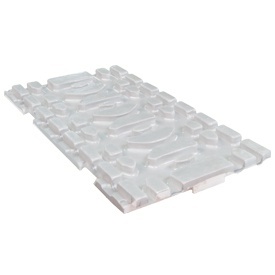 System for wet radiant screeds with bossed panels in expanded polystyrene for a wide range of applications. Speed and ease in the assembly of the panels and positioning the pipes. Various thicknesses available for every requirement of thermal insulation. 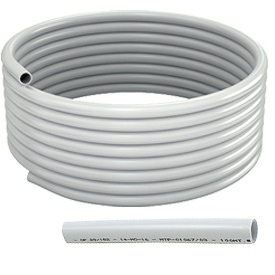 Versions available suited also for diagonal placement of the pipes and with sound insulation properties. System for wet radiant screeds with smooth panels, available both in expanded polystyrene and in eco-compatible material (wood fibre or cork). 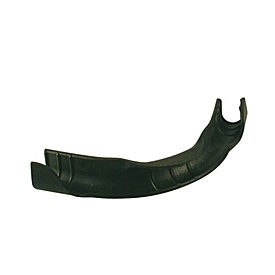 The pipes are fastened with special fastening clips or with specific pipe fixing tracks. Ideal for restorations when very thin structures are necessary. System for wet radiant screeds of appropriate composition, does not call for insulation and can be installed even on existing flooring. Available in two versions: with thermoformed panel with bosses and adhesive; with plaster fibre sheets with milled grooves for pipes housing. Dry system, with limited overall thickness, ideal for applications in which it is not possible to load the structures with the weight of a traditional concrete screed. 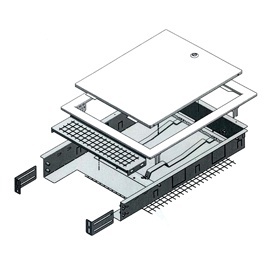 Prefabricated panels in expanded polystyrene, already paired with thermoconducting aluminium lining to guarantee excellent thermal yield, represent the fundamental element of the system. 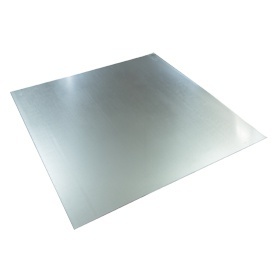 Galvanised steel plates, to be installed in a double layer and on which it is possible to apply any type of final covering, guarantee mechanical consistency and uniform distribution of the loads. 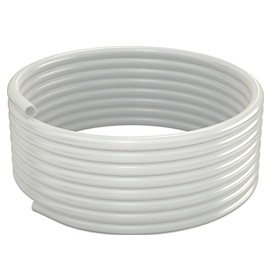 For all the radiant systems offered, wide range of pipes and specific fittings for the connection to the other components of the system. Pipes in extremely flexible PEX-b, in PE-RT, both with anti-oxygen barrier, or in multi-layer PEX-b/Al/PEX-b. Useful accessories such as bend supports, unrollers, clips and fastening equipment complete our offer to facilitate to the utmost the installation operations. 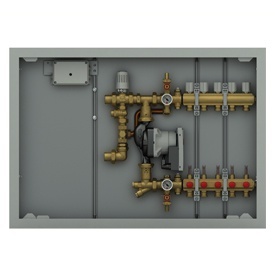 In a radiant panel system, the manifolds perform a fundamental function: hydraulically supply every single circuit with the necessary flow for its optimal operation. But not all the systems have the same requirements and for this reason we make a wide range of possibilities available: from the individual components, to build distribution and mixing units based on the most diverse installation situations, to the practical pre-assembled and pre-wired manifolds that offer completeness, simplicity of installation and time saving. All the manifolds can be housed in specific metal cabinets for easy calibration and maintenance of the system. Insulating panels in expanded polystyrene without CFC and in conformity with standard EN 13163. The pre-formed plates are paired with covering film which serves as barrier to the steam and increases considerably the resistance to footfall. 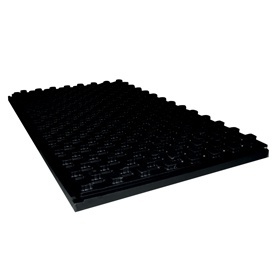 Insulating panel R979N Thermoformed with black thermoformed polystyrene and double density for considerable thermal and sound insulation. Possibility of diagonal installation of the pipes, for better arrangement of circuits in rooms with oblique walls. Insulating panel R982Q with large thicknesses (60 mm and 75 mm) for high thermal resistance (rooms in contact with the ground or with the outside air). The particular profile of the pre-formed bulges (bosses) makes it possible to embed the pipe more firmly, providing great speed of installation. Radiant part made with pipe fixing track and wet plaster. The wall, which in theory is the ideal solution for radiating the human body, must not be screened by furniture and must be protected from accidental damage, such as dowels and fastening elements. 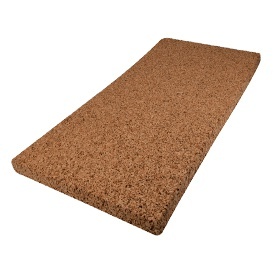 Adhesive thermoformed panel with special hole for inserting the fluid screed. Pipe fixing tracks to create system on the floor and on the wall. 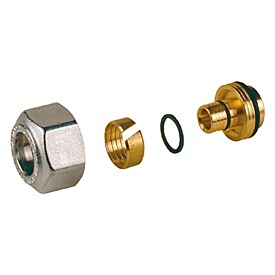 Manifold distribution kits with multifunction valves and installation in metal cabinets with little thickness. Manifolds with built-in holders and practical flow meters, to facilitate the balancing, circuit by circuit, of the entire system. Manifolds with thermostatic micrometric valves which allow the application of electrical actuators. Unit R557R pre-assembled and pre-wired in cabinet: for heating with adjustment at a fixed point, possibility of supply of heating bodies at high temperature, self-modulating circulator in conformity with Directive ErP 2009/125/CE. 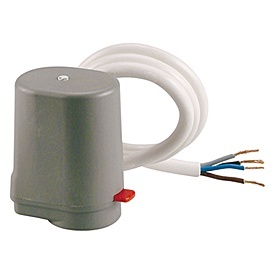 Unit R559 pre-assembled and pre-wired in cabinet: for heating/cooling with adjustment by mixing valve and control panel.